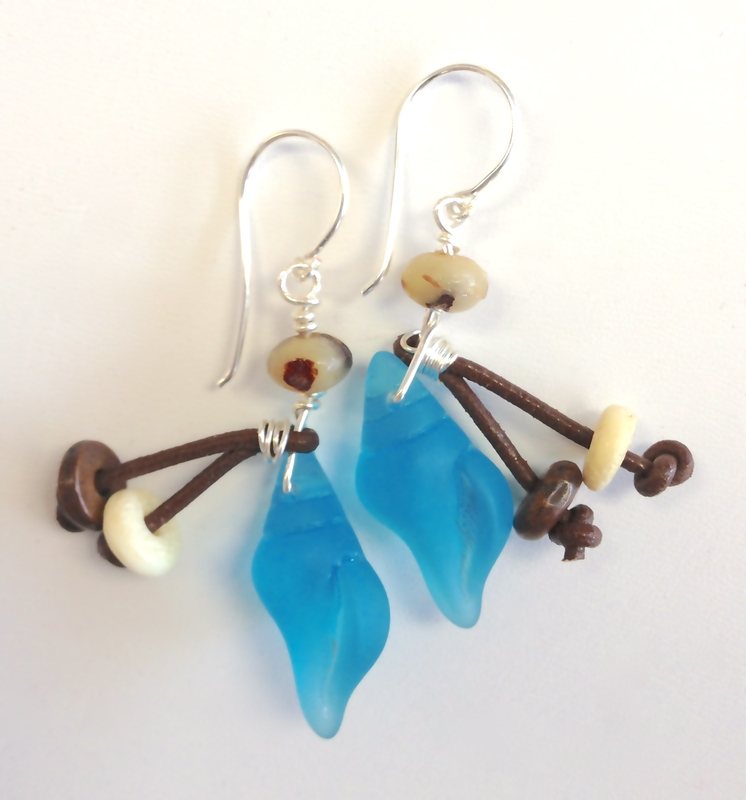 ZnetShows, Inc. cultured sea glass conch shell beads. When I found out about the new, beautiful cultured sea glass conch shell beads from ZnetShows, Inc. I knew I had to get my hands on them. Imagine my delight when my package arrived with so many beautiful colours. I wanted to make something different. A necklace I could wear to a Pow Wow or to the television station. I decided to use a fluke made from bison bone as my focal. I added date seeds and round bison bone beads. A few hair pipe beads and Greek leather. Next, I needed earrings to complete my set. I added date seeds with bison bone disks and some Greek leather. Thank you ZnetShows, Inc. for letting play and create. I had a blast !! 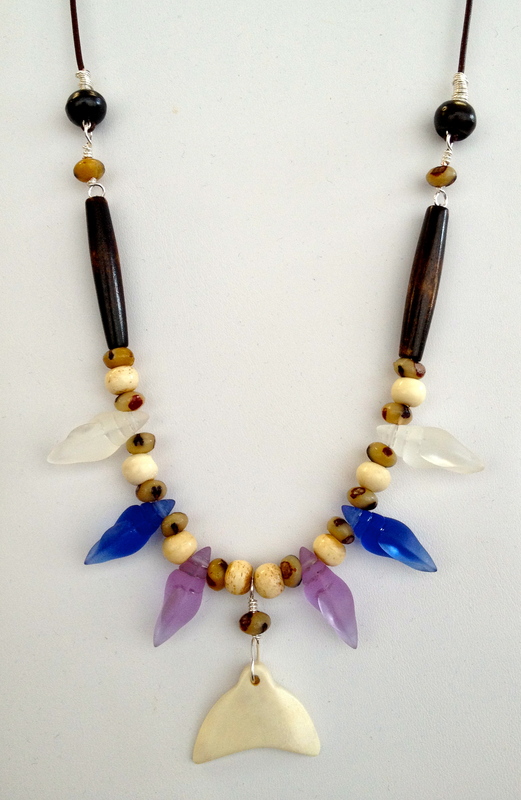 This entry was posted in ZnetShows, Inc. and tagged bone beads, sea glass, znetshows. Bookmark the permalink. I love the colors of the sea glass.